Elayne Smith, better known to us as DJ Elayne, is a beautiful and talented individual who deserves a lot of credit for her dedication to media, entertainment and music. She is a female who defied all the stereotypes and with her energy and exuberance, catapulted herself into the forefront of radio in the 1980’s. Recollecting how her radio career began can only be described as whirlwind. Having been talent spotted by Daddy Ernie, by then a distinguished Reggae man on LWR, he recommended her to the station and within a few days via a demo-tape found herself launched as the first female daytime presenter, at least in London. She commanded the breakfast show which afforded her a massive audience which numbered around 2 million listeners. 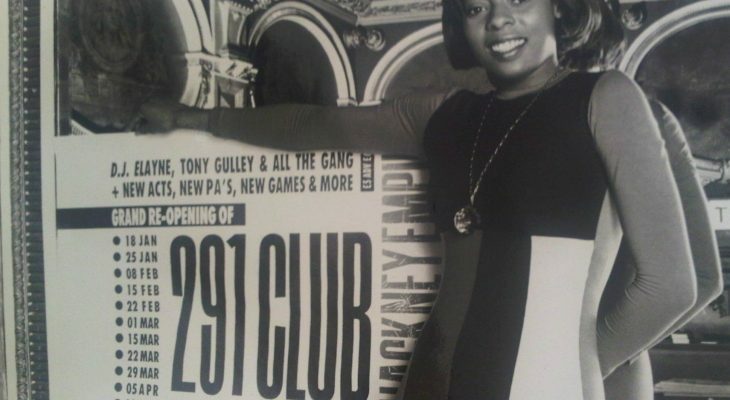 This was the beginning of an illustrious career that subsequently took her to presenting her own talent search show, ‘291 Club’ which aired on both ITV and Channel 4. Further success followed with an A&R Manager appointment at EMI records, giving her the distinction of being the first woman to hold that position in the UK. She was headhunted by Choice FM for their 9pm till 11pm Show. Latterly she spent 10 years presenting various shows on Colourful Radio and more recently, she presented on Grenada’s TSOG and West London based Beat London Radio 103.6FM. Elayne’s career does not end there, as it is an accomplished fact that she is a fine hostess and very good deejay in the more prestigious events. Elayne has honed her talents and stands above all her peers as a true trailblazer and gamechanger.